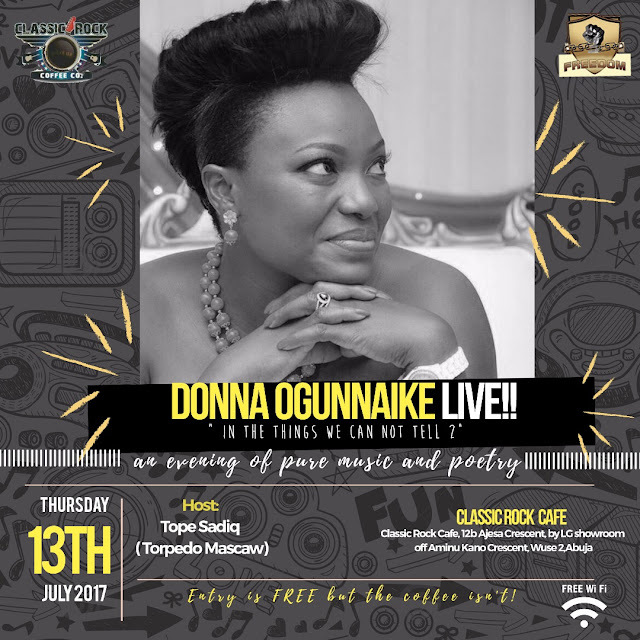 FREEDOM HALL in collaboration with the Poet 'Donna Ogunnaike' returns for the first time in 2017 with ' The Things We Can Not Tell 2' live in Abuja. Date: Thursday July 13th, 2017. Entry & Wi Fi is FREE but the coffee isn't!